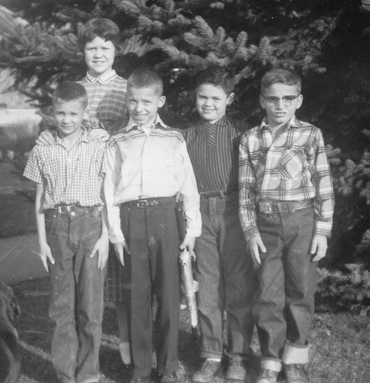 Ron Burdett, second from the left and his classmates at the Utah School for the Deaf. Ronald C. Burdett, known as Ron, is no stranger to Utah. He was born to Deaf parents, Kenneth C. Burdett and Afton Curtis, who both graduated and taught at the Utah School for the Deaf (USD). Through Ron’s parents, he grew up and was educated at USD. In 1962, the school formed a new policy embracing the Dual Division (known as the “Y” system), meaning that all children had to start in the Oral Division and were not allowed to enter the Simultaneous Communication Division until age 11 or 6th grade (The Utah Eagle, February 1968; Wight, The Ogden Standard-Examiner, October, 19, 1970). Ron, then a sophomore, joined other high school students to participate in a student strike opposing the new Dual Track Division, with each track having its own separate classrooms, dormitory facilities, recess, and co-curricular activities (but not athletics) (The Utah Eagle, February 1968; The Ogden Standard-Examiner, October, 19, 1970; Celia May Baldwin, personal communication, April 15, 2012). Ron was one of the many students who didn’t like the operation of the new Dual Track Division because a “wall” formed when the oral and simultaneous communication students were not allowed to interact with each other. Ronald C. Burdett. Photo courtesy of Sorenson Communications Inc. While the USD education system was deteriorating academically and socially and student morale was low, Ron was finishing up his junior year. He attended the 100th year reunion at Gallaudet in 1964 with his classmate, Celia May Baldwin, and was “sold” on attending the college. Enrolling in the college preparatory course at Gallaudet would prepare him for college-level work the following year. After passing his entrance exams, he headed off for Washington, DC in the summer of 1965. He entered as a prep student, for what would have been his senior year in high school (The UAD Bulletin, Fall 1966). Ron’s father, Gallaudet alumnus, had encouraged him to “take the plunge.” He graduated from Gallaudet College in 1970 majoring in computer studies and accounting and obtained a master’s degree in special education and rehabilitation from California State University, Northridge. Ultimately, Ron became successful in his varied careers. Over the years, he had served as a professor and Dean of Deaf Studies and Special Services at Ohlone College, as president of the California Association for Postsecondary Education and Disability, as division director of the Southern Utah Deaf and Hard of Hearing Division and as the Vice President of Community Relations of the Sorenson Communications, Inc. (UAD Bulletin, March 2006). Ron Burdett, ’70, poses next to his honorary plaque. Gallaudet News. Photo by Zhee Chatmon. Come to think of it, if it were not for the Dual Division or Gallaudet University, what would have become of Ron? Since Gallaudet graduation in 1970, he has accomplished tremendously as an educator and administrator in work-settings. Gallaudet President, Roberta J. Cordano shared, "Ron embodies advocacy, equality, and inclusion and is a role model for our emerging deaf and hard of hearing leaders (Greenman, Gallaudet: On The Green, October 3, 2016). The value of his strong work ethic and leadership ability is an inspiration to the Deaf community. Utah is fortunate to have a deaf person like Ron as an example of an outstanding deaf individual who has succeeded in every endeavor he has tackled. Celia May Baldwin, personal communication, April 15, 2012. Greenname, Andrew. 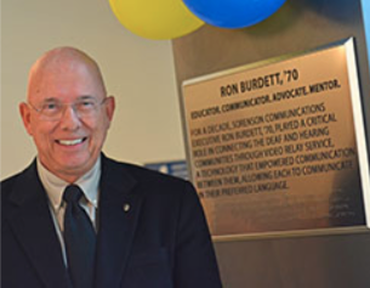 “Ron Burdett, ’70, honored at Sorenson naming ceremony.” Gallaudet: On The Green, October 3, 2016. “New Developments in Utah’s Educational Programs for the Deaf.” The Utah Eagle, vol. 79, no. 5 (February 1968): 13 – 15. 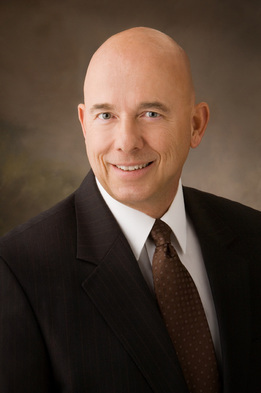 "Ron Burdett Begins New Job at Sorenson.” UAD Bulletin, Vol. 29.10 (March 2006): 5-6. "Wins UAD Award.” The UAD Bulletin, Vol. 4, No. 1 (Fall 1966): 1. Wright, Ray. "Deaf Teaching Methods Debated." The Ogden Standard-Examiner, October 19, 1970.